With the introduction of Indian culture with Western civilization, through his self-confidence, self-esteem, and decision, to spread India to the whole world, he has changed the thinking of many countries, its incomplete if we do not talk about him today, he is very close to all of us “Swami Vivekananda“. His birthday is on 12th January. Everyone knows that Swamiji’s birthday is called “National Youth Day”. But do you know why is it said so? Because, when India was not independent, when India was suffering in rituals, caste riots continued, in that chaotic period, Swamiji had given self-confidence by bringing the youth of the country together. He knew that this young society can take the country forward, so he guided the youth community, the path which is still followed by the youth of the country, even Rabindranath Tagore has followed him. He is a hypocrite for the youth. Therefore, his birthday is celebrated as ‘National Youth Day’ even today. The time when India was not independent, the way in which he provided self-confidence and inspiration among the young society – the result of that is a developed India, but today, when India has developed so much, has our young society co-operated with it? No, they have not cooperated. The reason for this is the lack of concentration and mental restraint in the present youth. That is why today’s youth society is saying – I am not able to concentrate in study, I am unable to concentrate on my important work, I am losing interest within 15 minutes of studying, the goal that I had set up – I am wandering from it repeatedly – many such comments come to us. The power of the mind is like the sun’s ray when it is centered at one place then only it shines. Friends, when Swamiji went to the Chicago religion conference, one day he was going from road, then he saw that some boys were doing shooting practice by stabilizing their goal, but none of them could give their arrow in the goal, then Swamiji went to them and said that he wants to try once, then the boys started thinking that they are not able to shoot the arrow at the goal, then how will this hermit be able to do? Yet the boys allowed the Swami to try, and one-by-one Swamiji shoots 17 arrows at the goal, the boys were surprised and asked Swamiji – How is it possible? Then Swamiji said – that it is possible only when you fully engage in that work, ie 100% Focus will be towards that work and not towards anything else. 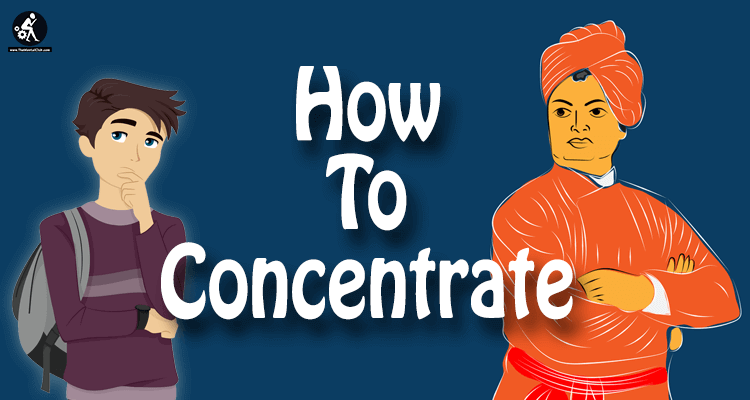 So, today from Swami Vivekananda’s perspective we are going to gain an insight into, what is concentration, how to increase concentration and the purpose of concentration, but if you want to watch the videos on this topic, then you may watch. We’ve made the video in 3 languages (Bengali, Hindi & English). 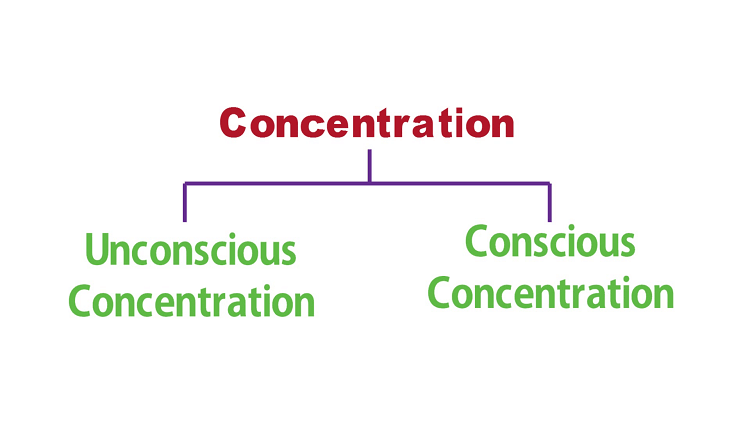 What is Concentration? Concentration means Focus, that is what you are doing, your full concentration will be in that, and you will not think about what is happening here and there. The person looked at the fishing-tackle without answering the question of Yogi and then after taking the fish to the land, he asked the Yogi, are you saying something? On the question of the yogi’s way to Shyampur again, he showed him the right path. After hearing this little story you are thinking what kind of behavior it is, someone is asking something and he is not giving the answer. But actually, this is concentration; he was so concentrated in fishing – that his mind was concentrated there, so he was not worried about anything else. Swamiji says that, if you are concentrated on anything, then success is waiting for you there. If the work is centered with concentration, then its result will be equally good. First of all, let’s look at what is “Unconscious Concentration” – In it, the mind is not concentrated by emphasizing or trying. In this, the mind is easily absorbed in any subject. Especially, the things you like to do, concentration comes easily on those things, like playing games on mobile, reading storybook, drawing, watching TV, using the mobile etc. First of all, you should try to stabilize the mind on the topic of your choice, then gradually after increasing concentration and strength, you should focus your mind on a special object. If you sit in a place according to your convenience and breathe conventionally, then the mind becomes calm easily. In order to pacify the mind, it is necessary to practice meditation of a thin object such as body parts, legs, hands, face etc. 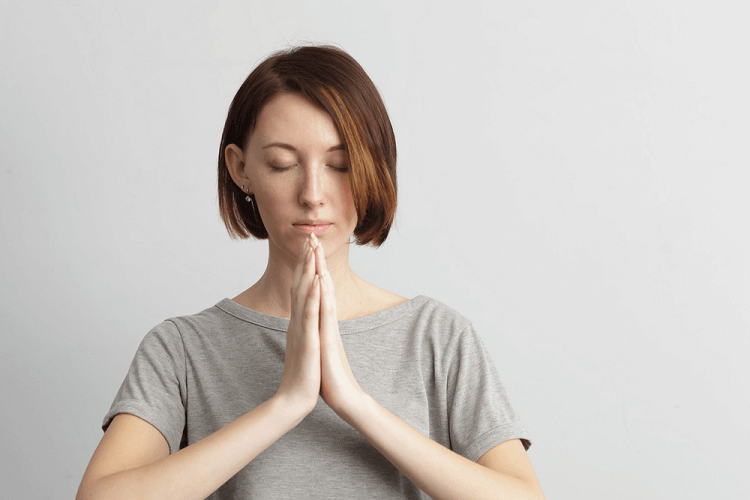 In the first few days, it is better to practice mind restraint for 5 to10 minutes, and gradually increase the time according to your ability. But first try to concentrate your mind by thinking about the topic you like, the place you like or the view you like. In the beginning, Swamiji used to increase his concentration by focusing on a black point. The mind becomes stable, on heartfelt prayer to God. Through prayer, the work of meditation quite fulfills. The power of prayer is unendurable. With heartfelt prayer, we feel the proximity of God. The glory of prayer has been given recognition in all religions of the world. In order to increase the interest in the favorite subject, the urge to know increases in people, which leads to concentration. Such as drawing, music discussion, computer programming etc. So in the beginning, try to concentrate by focusing on your favorite topics. 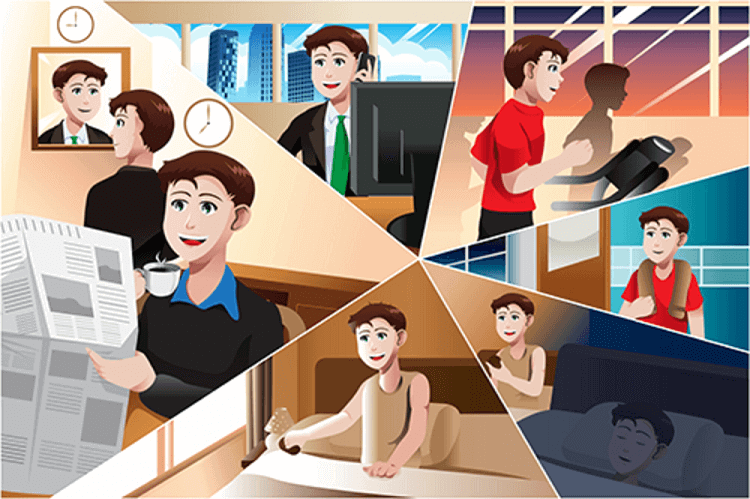 Yes, friends, concentration increases by doing the same thing at the same time every day. Because at that time the mind is impatient to work. We have been listening since childhood – practice makes a man perfect. But a long time ago, this same thing was said by Swamiji, if there is a habit of practicing day by day, then this continuous effort of restraint becomes constant and the mind becomes focused. However, Swamiji has said that, as it is important to concentrate on any topic as well as it is also necessary to concentrate your mind by deflecting from that topic to other topics or objects. As it is necessary to concentrate on sports, it is also necessary that as soon as you return home from the field after playing, you have to learn to deflect your mind from that. If you are still in the playground while studying after coming back from the playground then you will never get success. Therefore, besides acquiring the ability to concentrate on any subject, you should also have the ability to deflect your mind from that accordingly. Only then will you be able to move towards success in life with concentration. Last Word: So, friends, this is the time get up, wake up, go ahead. Do not wait unless you reach the goal. 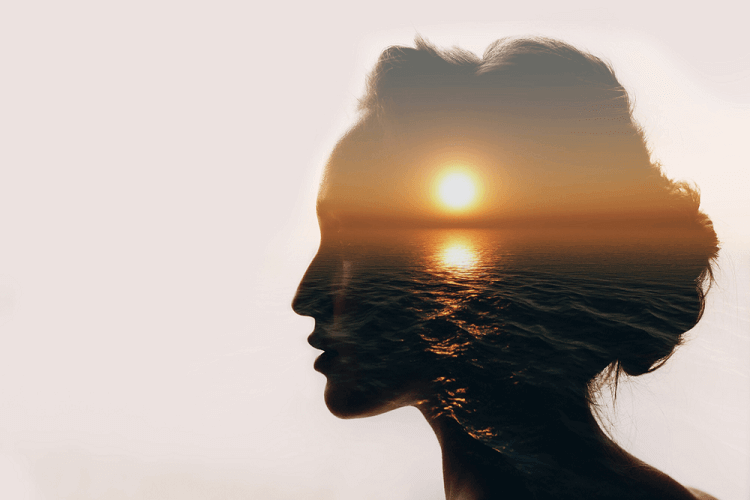 ‘Bring anyone emotion into your mind – make that emotion meditation, knowledge, life in your existence- live on it.’ Use your brain, your muscles, and all the parts of your body to execute that emotion. And keep each emotion separate from other feelings. Success will be on this path only. As soon as you get success we will get more pleasure. Our goal is to take young society on the right track. Our question to you is: What is the real name of Swami Vivekananda and by what name he was called in childhood? – That is, what was his nickname? – Tell me through comments. See you again next Saturday with the next video, till then, Think Positive, Do Positive and Go Ahead Thank You! The YouTube Channels "Positive Thinking" [Bangla, Hindi and English] are managed by The Mental Club Team. Here you'll get life-changing videos (Motivational Videos) Saturday of every week. So, #ThinkPositive, Do Positive & Go Ahead. Thank You.